Our new exclusive Angeles Value Line™ products offer you remarkable quality and value. They're constructed of 5/8" thick, maple-faced melamine panels with 1/4" thick, wood-grained recessed back panels. Each piece features rounded edges, sanded smooth and fully finished for a classic look. Units are easy to clean and resistant to stains and scratches. All tools and hardware required for easy assembly are supplied. Make books visible and handy for children to access with our easy-to-assemble Angeles Value Line™ book display. 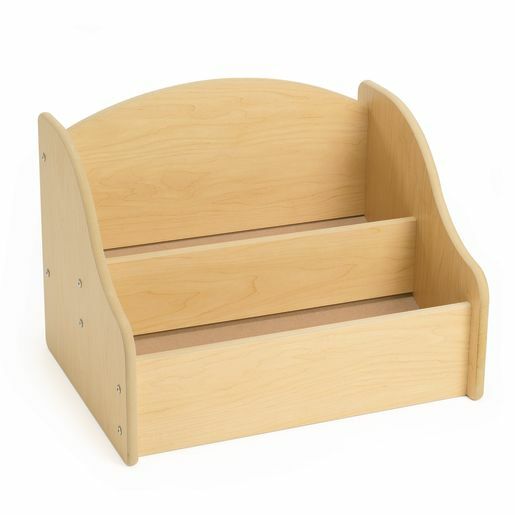 Features an attractive, curved design to complement any classroom or center and is perfect for dramatic play. Also sold as part of a 5-piece set.